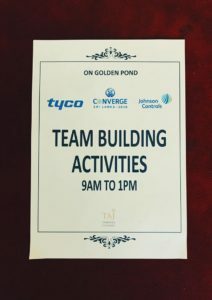 Converge 2018 is an annual meet up and gathering of Tyco’s channel partners. 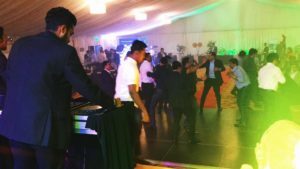 The event was organized by one of the top event management companies in Sri Lanka. 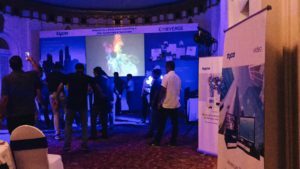 It was held on the 24th to the 26th of October 2018 at the Taj Samudra Hotel, Colombo. The first day of the event started off from conferences followed by lunch and dinner. The team gathered and discussed with their product presentations in the evening. In the end of the business talk the crowd expected an end with just a dinner but they were given a surprise! An illusionist walked up on stage and then through to the crowd where they were left wow’d. The second day started off with a conference till noon and lunch. The team gathered back again in the evening for a few presentations and discussions. Thereafter, a surprise performance by a well known illusionist in Sri Lanka entertained the crowd literally with his magic! The buffet and bar was open and the night did not end there, the DJ continued the fun. The third day was more fun than work for the team. 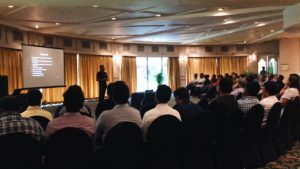 Colombo Conferences organized a team building session for everyone to participate and ignite the leaders within them. 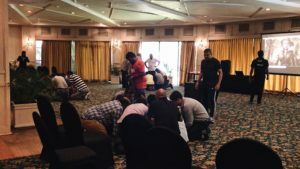 The team building session was not only creating better teams but also uplifting their inner spirit in a enjoyable way. The team said they loved the experience and that it was so far one of the best team building programs they have ever participated. Lunch was served at the restaurant which was then their time to relax and meet later in the evening for Dinner. 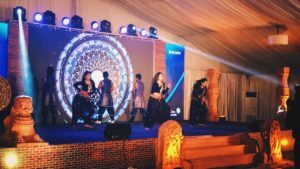 Tyco was very specific on the fact of wanting to have a very Tradional and purely Sri Lankan theme which was brought together beautifully by the event company. 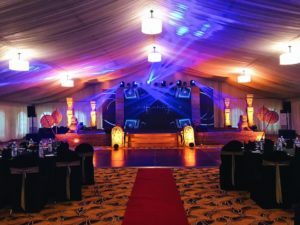 The final most awaited night was then alive where everyone walked in through the red carpet and felt the most cultural and royal Sri Lankan feels of the night which was yet to begin. A massive stage with decor bringing Sri Lankan culture alive. 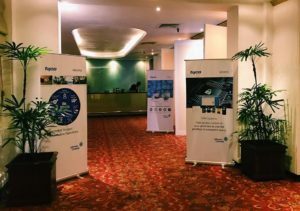 Furthermore, Tyco and Johnson Controls brands amazingly highlighted together at the venue. 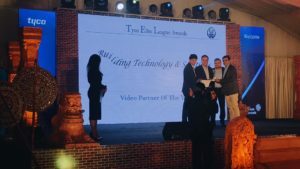 It was the Awards Night and Gala Dinner for the channel partners of Tyco with Johnson Controls India. 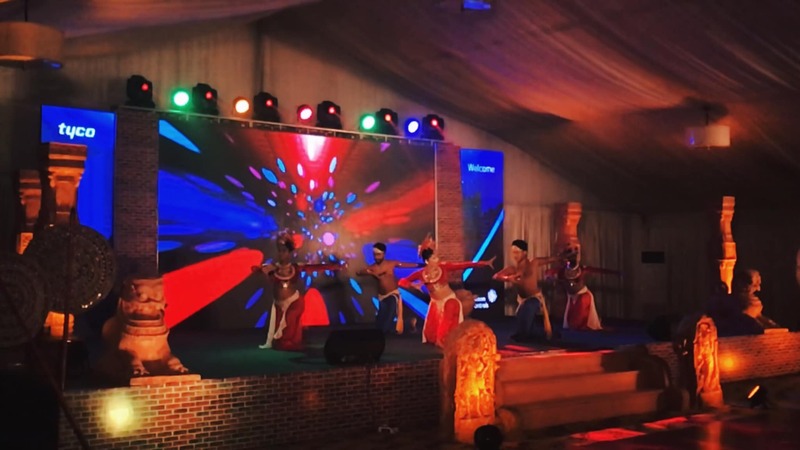 The awaited big night started with a traditional Sri Lankan Welcome Dance. 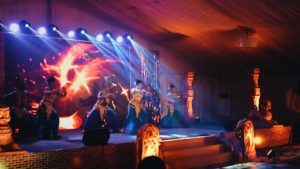 Thereon, the event flowed with awarding the well deserved followed by glamorous dance acts to enhance the colorful night. Dinner and drinks with the DJ playing soul shaking music got the night alive! 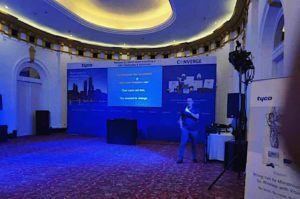 Colombo Conferences successfully covered the event organizing, planning, event productions and event management. 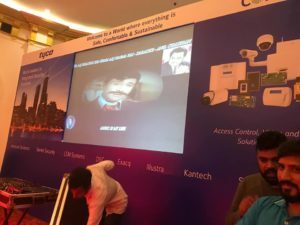 It was a privilege for Colombo Conferences to host this event as an event management company in Sri Lanka for the biggest and most important annual events of Tyco and Johnson Controls, India.